Kappa-Plus polypropylene sink with a guaranteed wall thickness of 3,8 mm. This sink is very robust and stable due to fabrication by means of injection moulding. 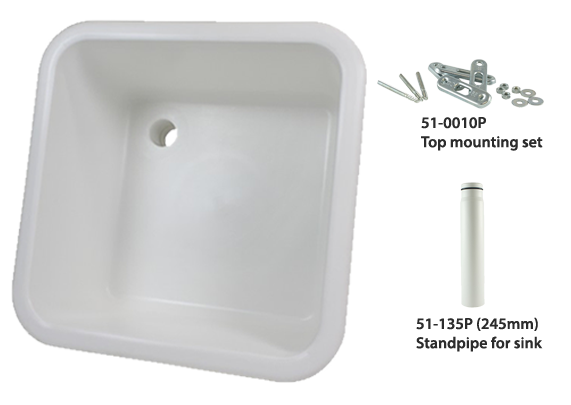 This sink is suitable for drop-on as well as for undermount installation. For drop-on installation, you can order a matching fixing set. Internal dimensions 400 x 400 x 250 mm.